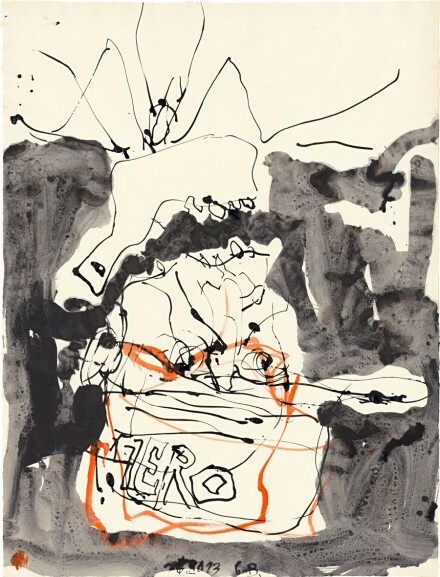 On view at Gagosian London is an exhibition of recent works by German painter Georg Baselitz, focusing the artist’s distinct style through a series of paintings focused on the self-portrait, while paying direct homage to the gestural figures of Willem de Kooning. The exhibition will remain on view through March 29, 2014. 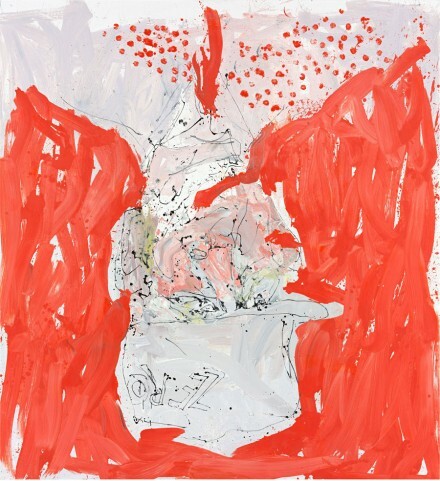 The paintings in this exhibition are a departure from Baselitz’s chosen style over the last decade. 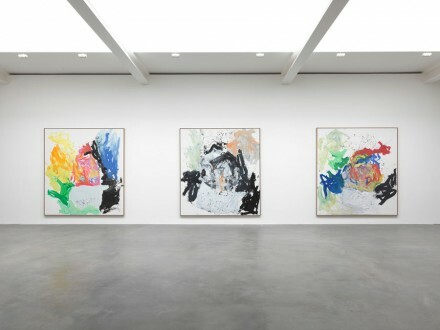 Before this series, his Remix paintings focused on a reinvention of his previous woks, correcting perceived mistakes in the original version. Referring to the concept in music of using old tapes and rearranging them in a new style, Baselitz decided to recreate his own works again. “Repetition is inertia,” Baselitz said about these works, “I take photos of my pictures and paint them again..Naturally so as to improve them” (Frankfurter Allgemeine Zeitung, 6.206). Baselitz was so intent on perfecting his own works that he painted them as many as 20 times over, in order to achieve exactly what he wanted. 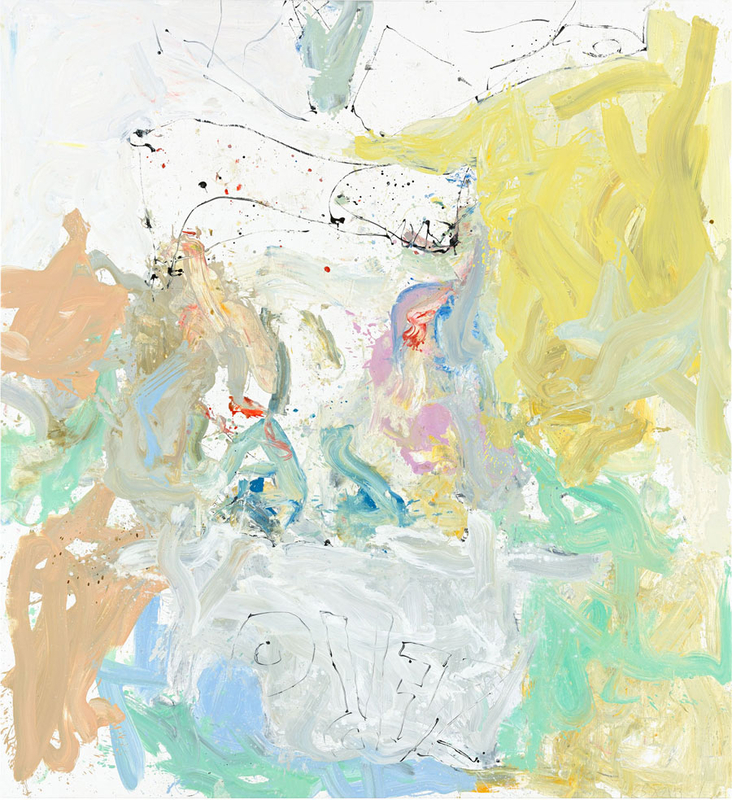 The new series of works, on the other hand, represents a complete departure from this concept, focusing on new material and impulsive, “imperfect” creative techniques. For these new paintings, Baselitz painted the canvas on the floor as rapidly as he could, leaving marks of paint cans and footprints so as to reveal his own process within the final work. 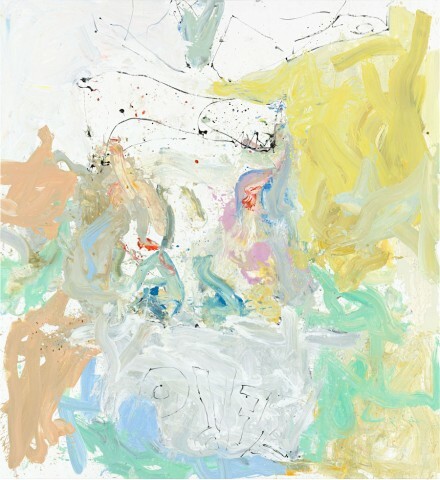 As an homage to Dutch-American abstract expressionist Willem de Kooning, the works focus on freedom from the obsession with perfection and an openness to fluidity, risk, and spontaneity. 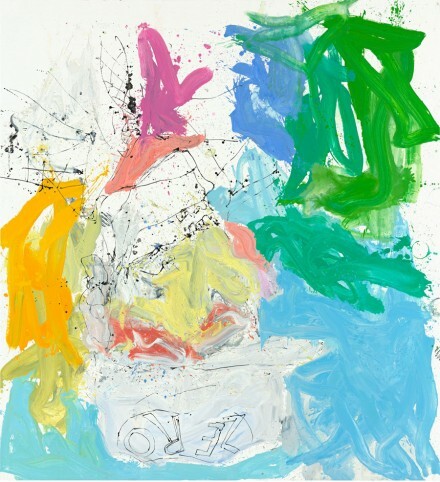 Made specifically in response to de Kooning’s Woman I and Woman II, which Baselitz first saw as a student in 1958, the works are made with vibrant color produced with thinned oil paints to create a watercolor-like consistency, in which the lines of the reed brush are visible. 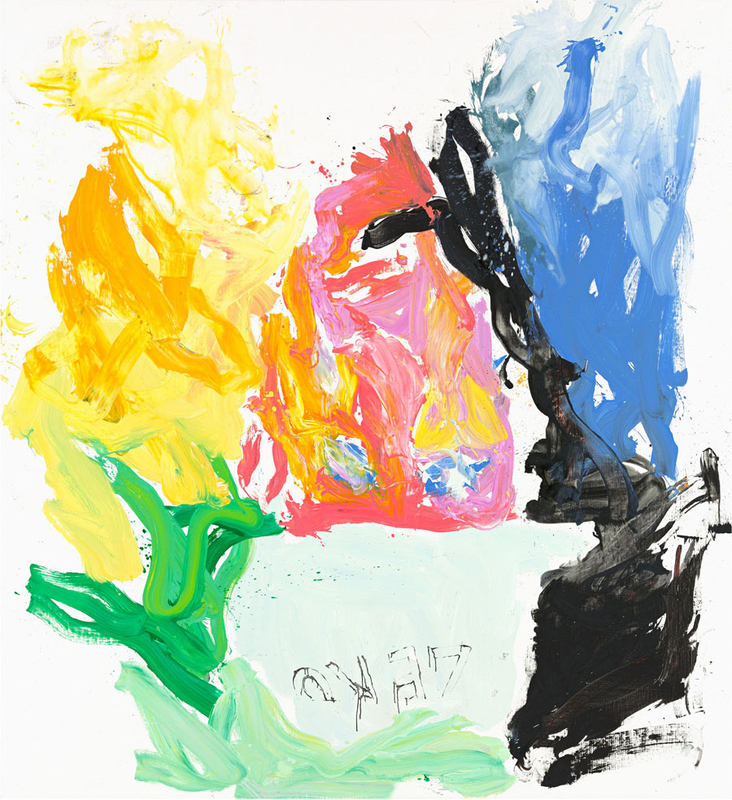 Rather than being direct representations of Baselitz’ own image, the paintings are instead self-portraits of his intuition and physicality, imbued with impulsiveness and instinctive energy. 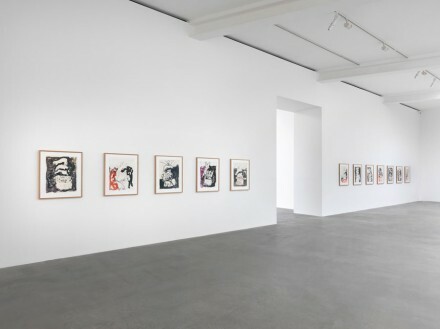 The exhibition at Gagosian London, Farewell Bill, will remain on view through March 29, 2014.